We encourage you to phone the Tavern at (828) 278-7394 or click here for the best booking experience. The President's Suite is a wonderfully inviting three-room area on the second floor with a large bedroom which includes a queen-size bed with soft, cotton sheets, a cozy comforter, electric fireplace for warmth and romance, a two-person clawfoot tub, fiber optic cable television, hair dryer, complimentary wi-fi, and sitting area. 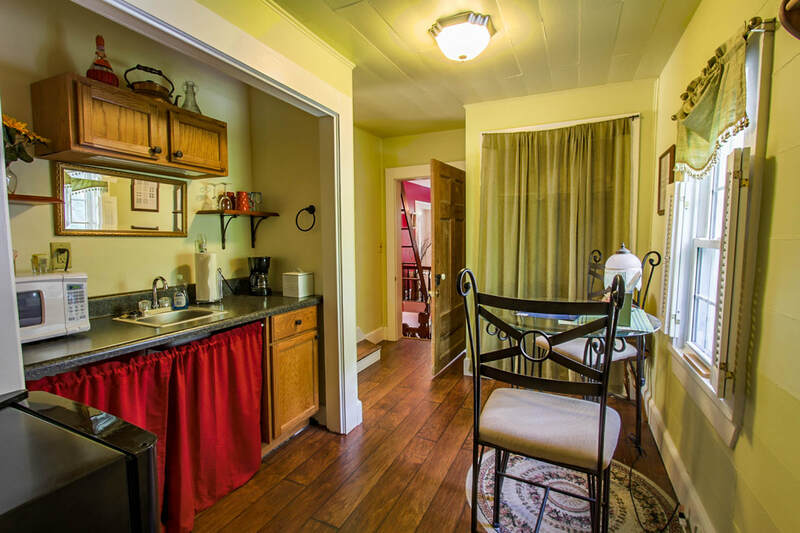 The second room has a wet bar with sink, fridge, microwave, dishes, glasses, sitting area, and closet. 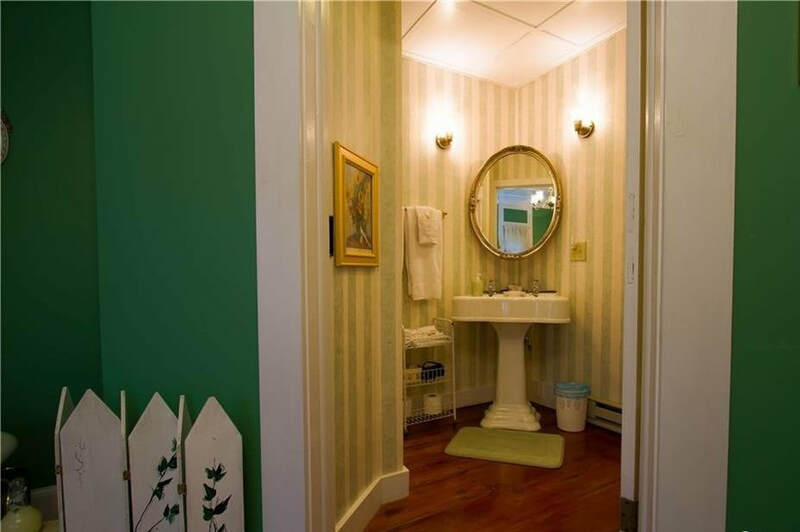 The large private bathroom boasts two sinks and large mirror, two person tub/shower, and its own heating source. The Suite is decorated to reflect the Buffalo Tavern era. It is such a warm and comfortable suite! 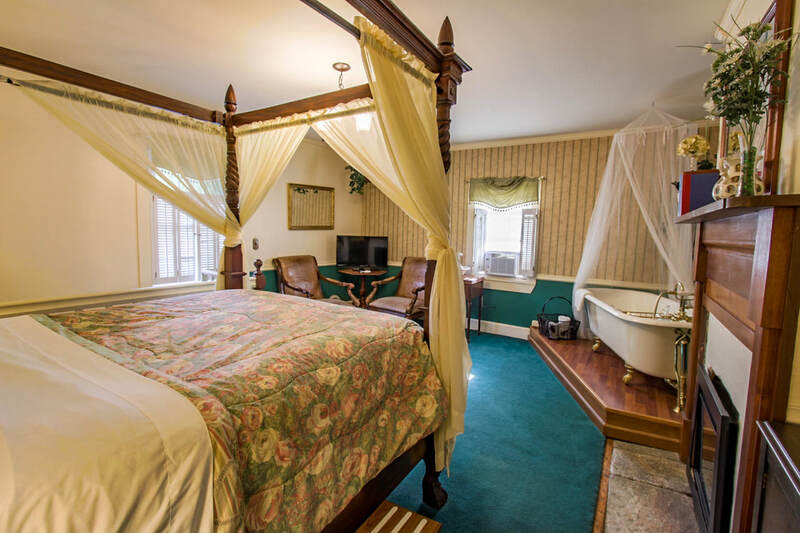 The Governor's room is a large bedroom which includes a queen-size bed with soft, cotton sheets, a cozy comforter, electric fireplace for warmth and romance, fiber optic cable television, hair dryer, complimentary wi-fi, and sitting area. 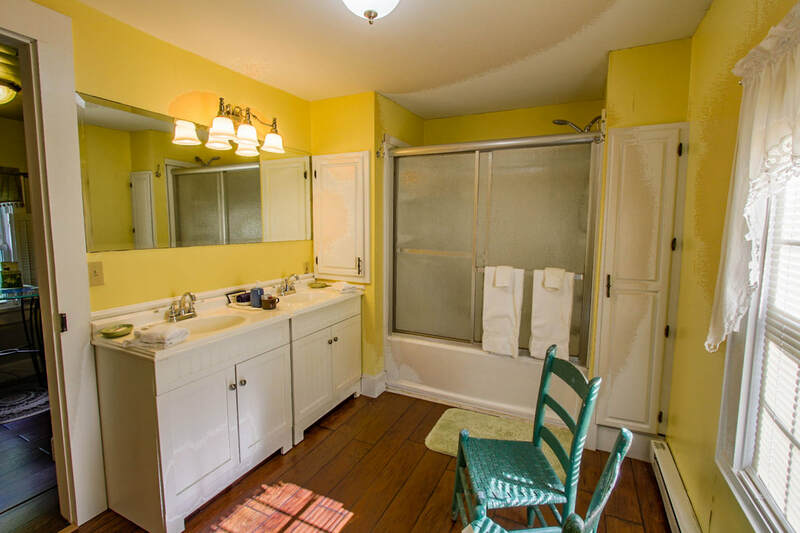 The room includes a private bath with shower, that is decorated in farmhouse style. ​Pamper yourself with a luxurious bubble bath in the two-person clawfoot tub. The Governor's Room is located downstairs and beautifully decorated. ​It is said that two early governors of North Carolina were guests at the Buffalo Tavern. Their identities are not known, but possibly one of them was Zebulon Vance. In their honor, the room on the first floor is named "The Governor's Room." ​The Juliette Room, located on the second floor is bright and cheerful. 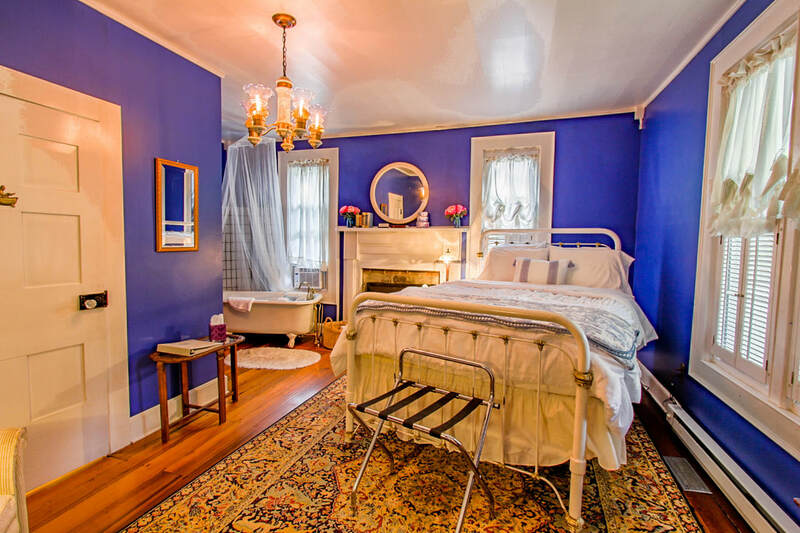 Decorated in a lighthearted nod to the era of the Tavern, the large room features a queen-size bed with soft, cotton sheets, a cozy comforter, an electric fireplace for warmth and ambiance, fiber optic cable television, hair dryer, and complimentary wi-fi. Relax after a day of adventure in the mountains by taking a soak in the two-person clawfoot tub. 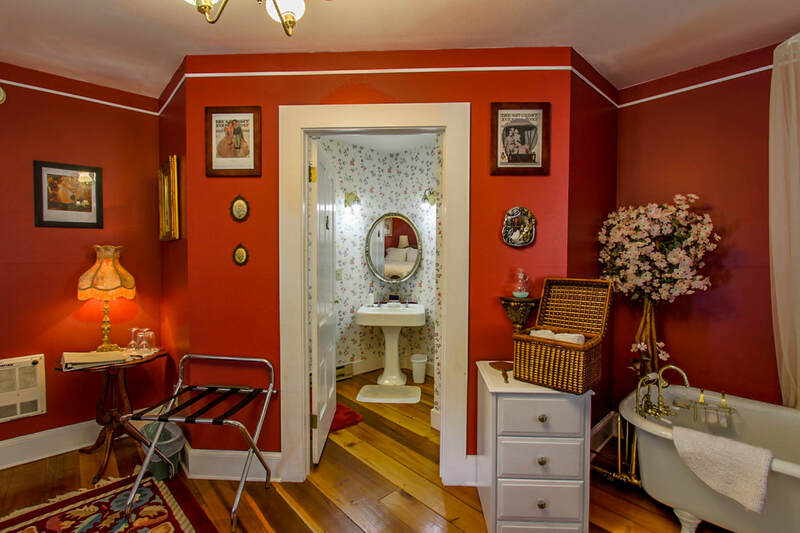 The room features a private bathroom with a shower. 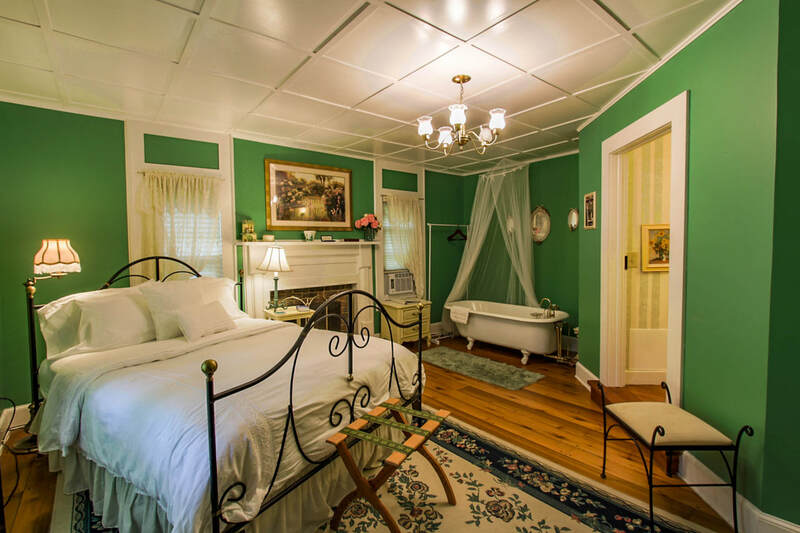 The Madam’s Room, located on the second floor is beautifully decorated in the era of the Tavern. 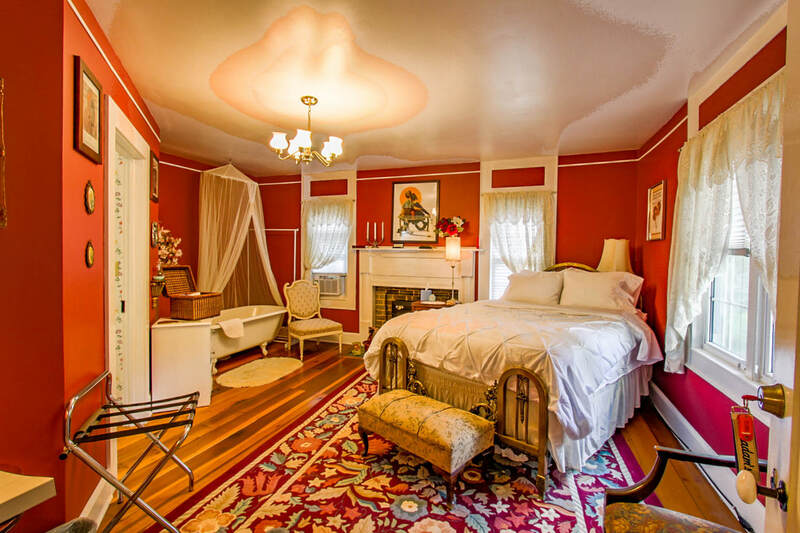 The large room features a queen-size bed with soft, cotton sheets, a cozy comforter, an electric fireplace for warmth and romance, fiber optic cable television, hair dryer, and complimentary wi-fi. 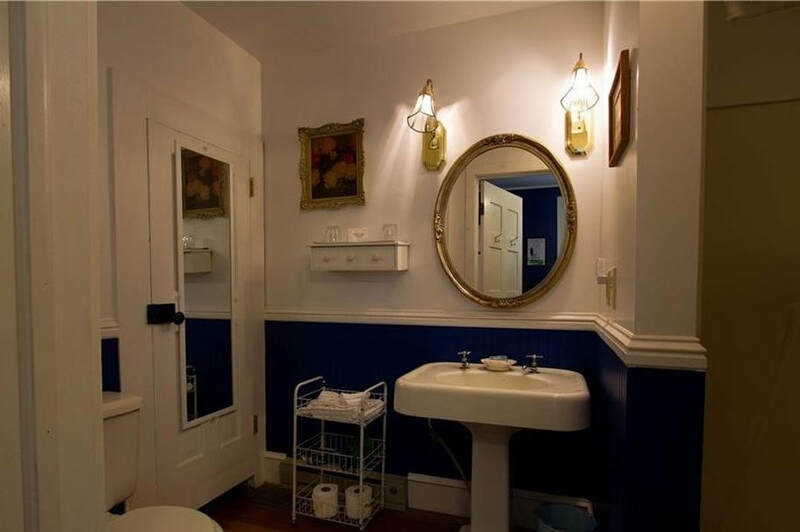 A lovely, two-person, clawfoot tub is nestled in the corner and beckons the weary traveler. The room features a private bathroom with a shower. While the Buffalo Tavern is a short, ten-minute drive to downtown West Jefferson, it feels like country living at its best. 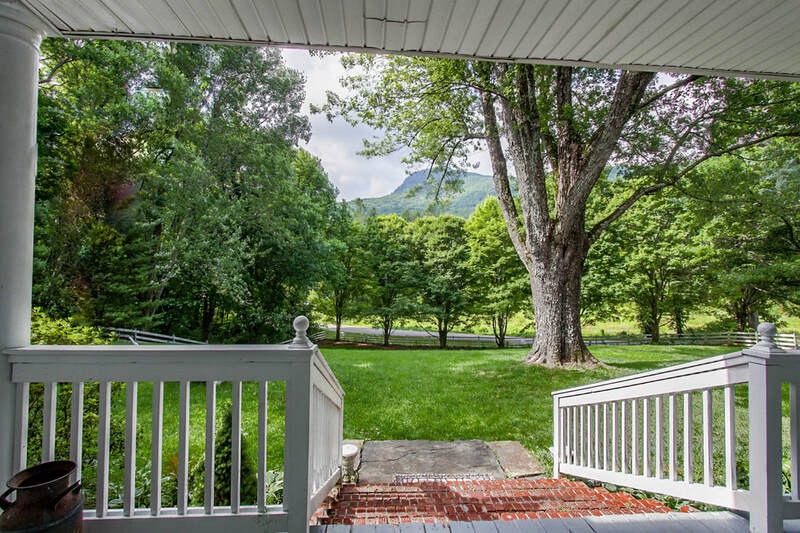 Both of the front porches beckon the traveler to sit, relax, and enjoy the view. 10% tax based on double occupancy.​ Applicable city and state taxes are not included in published rates. Ask about AAA and AARP rates. Loyalty Discount: If you've stayed with us before, remind us when you make your reservation for a 10% discount. We're always glad to welcome old friends. Rates may change seasonally during certain times of the year and are higher on weekends and during special events. however, rates quoted to guests at the time of reservation will be honored. A charge/debit card, Visa, Mastercard, Discover, or American Express, check, or cash is accepted to make a reservation. The provided card is charged for the total stay five (5) days prior to guest arrival. Signature is collected upon arrival if needed. A one night deposit by personal check received within 5 days of reserving and if more than three weeks before the guest arrives will be accepted. The remaining balance being paid by check will be due two weeks prior to arrival. Cancellation Policy: Without exception, a 5 day notice is required to cancel a reservation and/or provide notice of shortened stays. The guest is responsible for all days reserved. "No-shows" will forfeit the total amount of the room unless a replacement guest is found for the total number of days. Check-In: 4:00-6:00 p.m. Please let us know of your arrival time so we can be available to welcome you. Check-Out: 12:00 noon. Late check-out is available if the room is vacated at least one hour before the next scheduled guest arrival. The cost per hour for late check-out is $20 per hour (or any part of an hour thereof) after 12. Check with the innkeeper. All rooms include complimentary full breakfast, prepared by Paps and served in our Americana Dining Room at 8:30 am. Please inform us at time of reservation of any dietary or allergy considerations. Telephone reservations are available. If you call and the recorder comes on, please leave a message. Paps WILL call you back! Sometimes he is away from the phone or helping other guests. Online reservations taken at any time. For the comfort of our guests and the preservation of our antiques, smoking is limited to designated outdoor area only, which is outside of the white fence. Candles are not allowed at any time in any area of the Inn. Your pets will be happier at home, since we do not have comparable accommodations for both you and them. 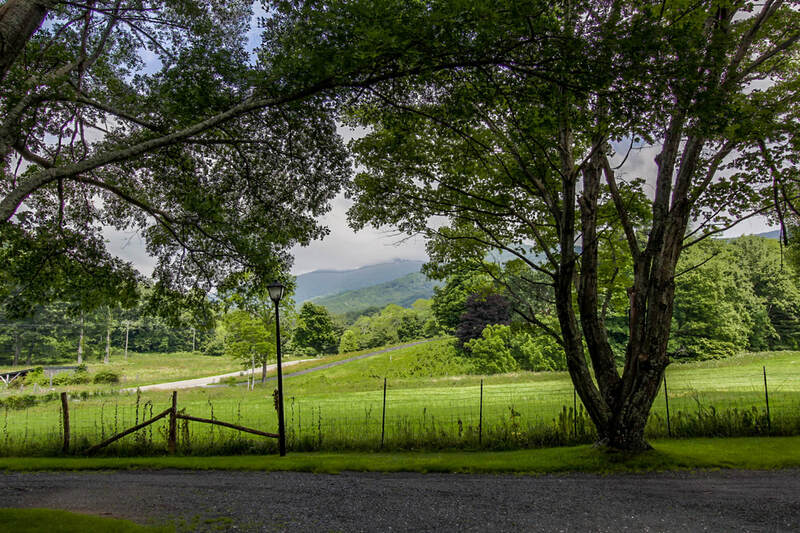 If you have questions about your unique circumstances give the Innkeeper a call at 828-278-7394.